In today’s ever-changing, fast-paced work environment, disengagement and lack of alignment of leaders & teams create further chaos. It directly affects the business, productivity, and morale of people involved. When technology leaders move up the chain and find themselves in senior leadership roles, where they start defining the strategy rather than executing on a pre-defined strategy, more often than not, they feel lost. They struggle to motivate teams, create synergies & cohesion required to achieve the organization’s vision. They start to understand that they are missing something and feel that there are some invisible problems that exist but are eluding them. This book, combines various principles, studies, practices to present a path-breaking, ‘No Fluff’ 5-part framework called HUMAN which makes ‘the invisible’- visible. 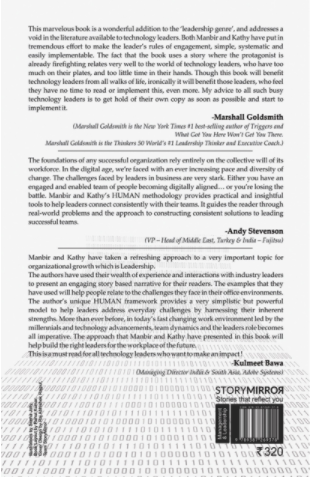 The book presents a business story based narrative, which will help the reader navigate the HUMAN framework with ease. ‘HUMAN’ is specially designed to help technology leaders create, maintain and develop high-performance teams. The book will provide readers with a step by step way to engage and lead teams in the most productive and effective way. Best of all, this methodology doesn’t require invasive organizational development strategies that are almost impossible to implement. Instead, the focus is on new behaviors that have maximum impact on your ability to engage as a leader. 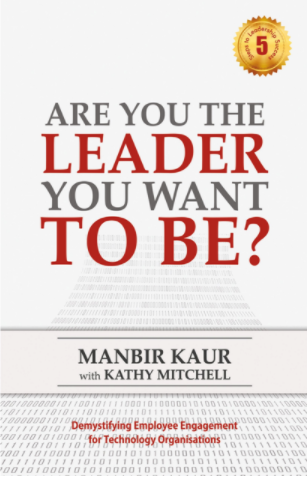 Manbir Kaur is an Executive and Leadership Coach (Professional Certificated Coach, PCC - ICF) who specializes in coaching leaders from technology organizations.